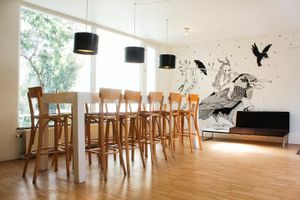 This space is bound to attract a lot of attention, given its unique location in the Helmersbuurt neighborhood. It is surrounded by many hotels and a busy street intersection with access to public transport. 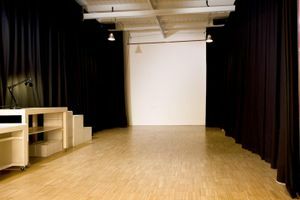 With 72 sqm at your disposal, this space can easily host large press events, product launches, private meetings and art openings. 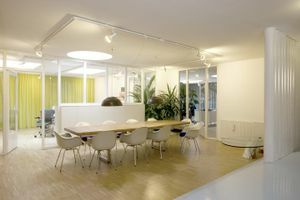 The space is situated in a modern Amsterdam building and is spread over the ground floor. This space has sleek, modern furniture, an elegant wooden floor, and white walls to go with it. The art decoration is well designed, in a simple and elegant manner, that allows for your own ideas to take hold. The Internet, office equipment, sound and video equipment, stock room, and kitchen are there to facilitate this.